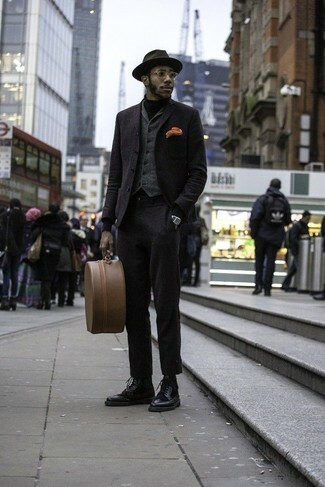 For a nothing less than incredibly stylish outfit, wear a black wool blazer with a charcoal wool waistcoat. For something more on the daring side to complete this look, rock a pair of Alexander McQueen buckled boots. For a nothing less than incredibly stylish getup, consider teaming a black overcoat with navy wool dress pants. 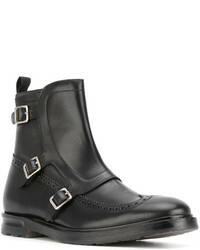 Alexander McQueen buckled boots will add a more relaxed feel to your getup. 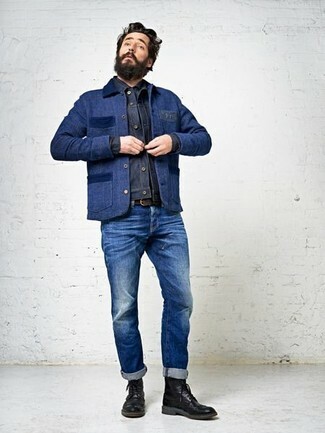 If you're on a mission for a casual yet dapper look, marry a navy barn jacket with blue jeans. These pieces are very comfortable and look great when worn together. 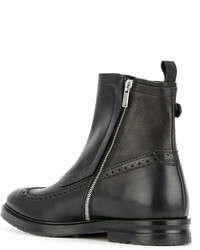 And if you want to instantly up the style ante of your look with one piece, enter Alexander McQueen buckled boots from farfetch.com into the equation. 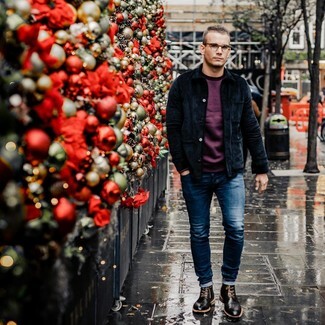 For a cool and casual look, opt for a navy corduroy shirt jacket and blue skinny jeans — these items go pretty good together. If you want to break out of the mold a little, complete this getup with Alexander McQueen Buckled Boots from farfetch.com. 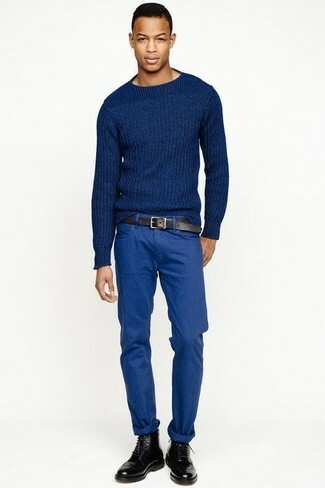 If you're looking for a casual yet sharp getup, try pairing a blue cable sweater with blue chinos. As well as super comfortable, both of these garments look wonderful when paired together. 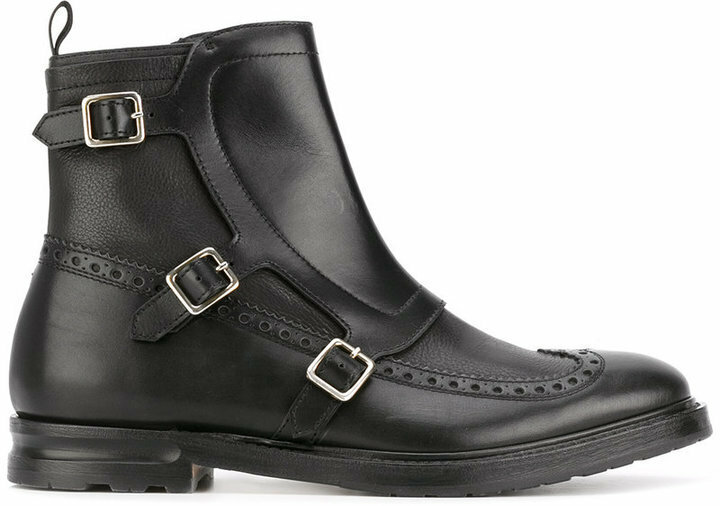 Bring a touch of sophistication to your look with black leather brogue boots. For a casually elegant outfit, team a grey wool blazer with navy chinos — these two pieces go pretty good together. When it comes to shoes, this look pairs nicely with Alexander McQueen buckled boots. As you can see here, outfiting stylish doesn't require that much effort. 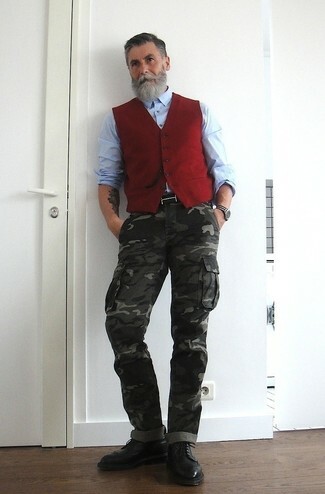 Just choose a red waistcoat and charcoal camouflage cargo pants and you'll look incredibly stylish. Finish off with Alexander McQueen buckled boots and off you go looking amazing. 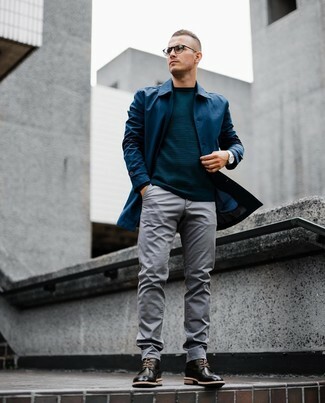 This off-duty pairing of a navy raincoat and grey chinos is perfect if you want to go about your day with confidence in your ensemble. If you want to instantly dial up this getup with shoes, complement your getup with a pair of Alexander McQueen Buckled Boots. 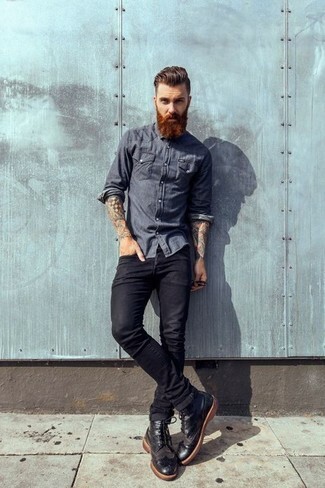 If you're in search of a casual yet dapper ensemble, pair a navy chambray long sleeve shirt with black jeans. As well as super comfy, both garments look stunning when paired together. 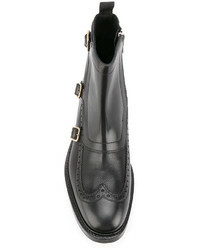 Up the cool of your getup by completing it with Alexander McQueen buckled boots.